Breitling is closely linked to the world of aviation and a big part of their reputation evolves around their pilot watches. 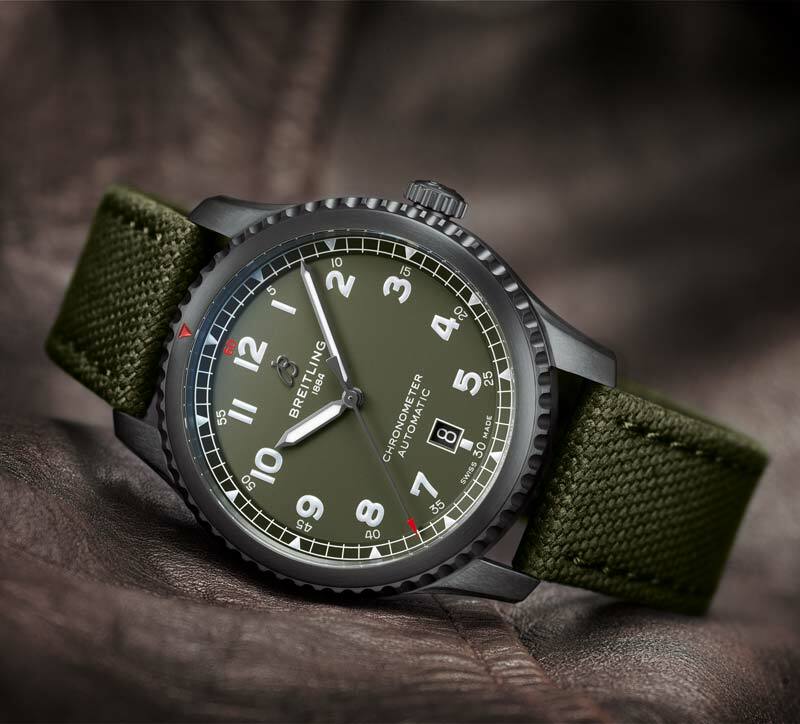 With the release of the new Aviator 8 Curtiss Warhawk collection, Breitling honors the American aircraft manufacturer for its most famous plane. 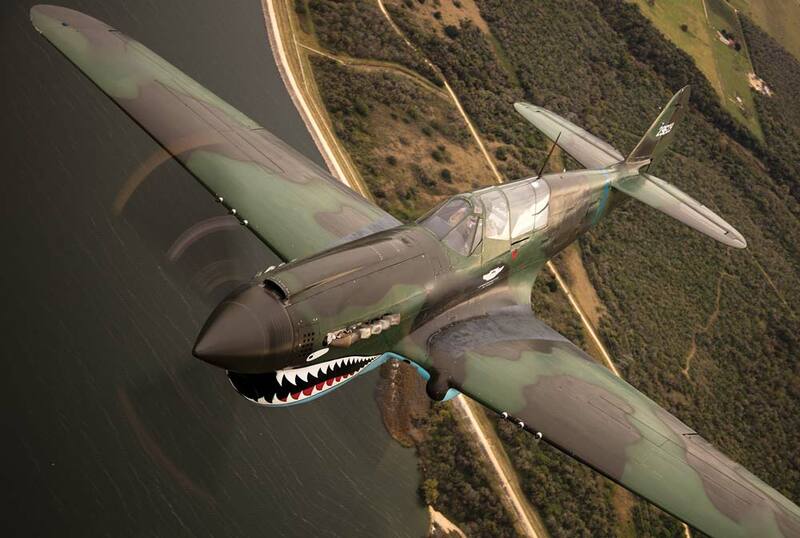 Read the story about the famous fighter planes below and get the details of the Curtiss P-40 Warhawk collection. The Curtiss P-40 Warhawk was the United States’ best fighter plane and it was used by most Allied powers during World War II. The single-engined, single-seat all metal fighter and ground-attack aircraft first flew in 1938 and by 1944, when the production ceased, a total number of 13,738 planes had been built. 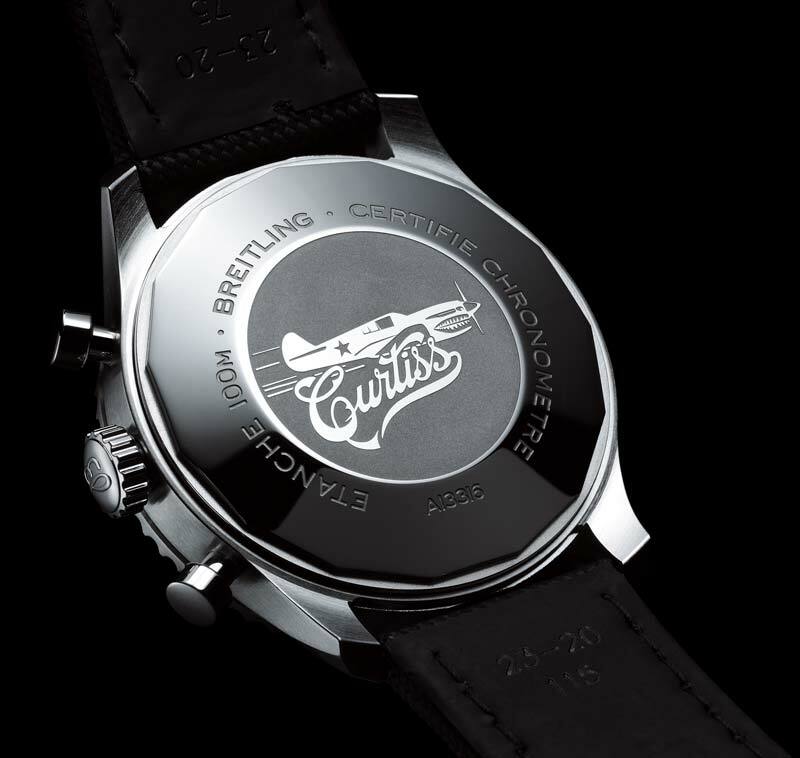 Breitling CEO Georges Kern says: “Curtiss Wright pro­duced the P-40 Warhawk at the same time Breitling and its Huit Aviation Department were making on­board instruments for planes used by the RAF and other air forces. With this partnership and these great new watches, we are reaffirming the importance of Breitling’s aviation heritage to the brand”. 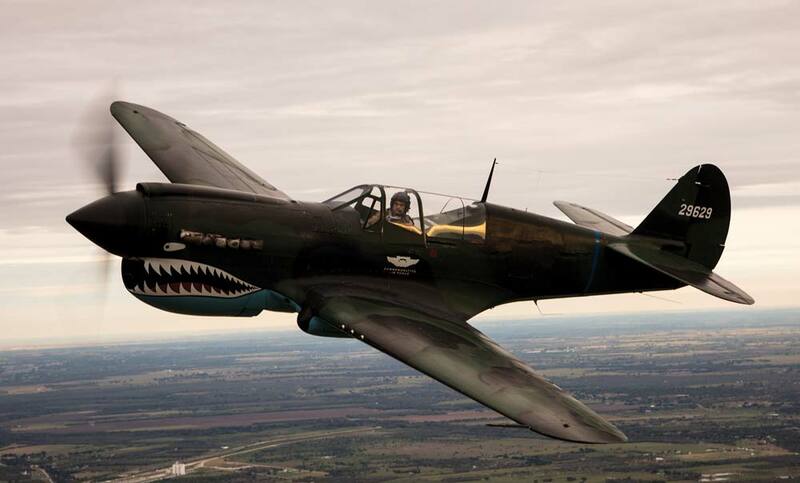 The 1st American Volunteer Group of the Chinese Air Force in 1941-1942, famously nicknamed the ‘Flying Tigers’ had shark-faces painted on their P-40s. The group was highly successful, and its feats were used by journalists to boost public morale. According to official records, in just 6 ½ months, the Flying Tigers destroyed 297 enemy aircrafts for the loss of just four of its own in air-to-air combat. 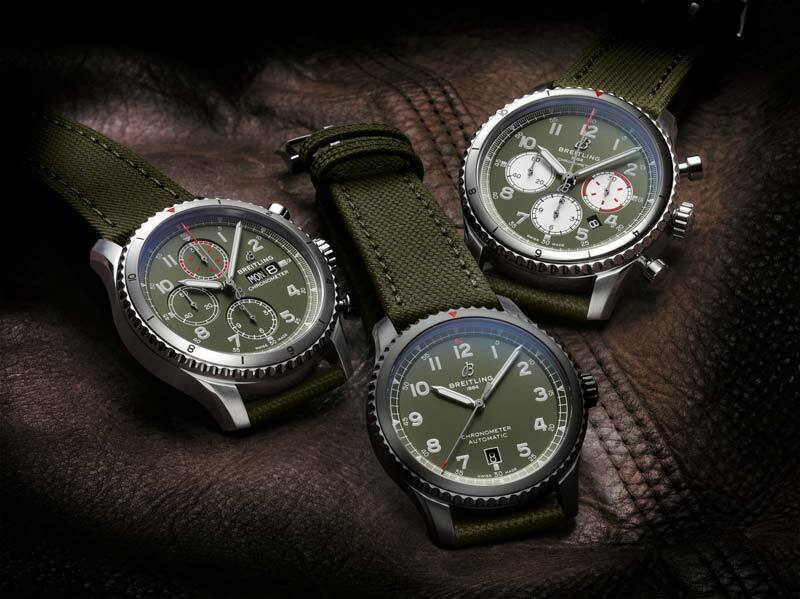 With the new Curtiss Warhawk collection – the three new Aviator 8 timepieces commemorate the aviation legend of the Curtiss P-40 Warhawk and celebrate the strong bond between Breitling and Curtiss Wright. The collection features rotating bezels and a distinctive triangular pointer which is a revisit of the iconic Reference 768 which was one of Breitling’s first pilot watches. 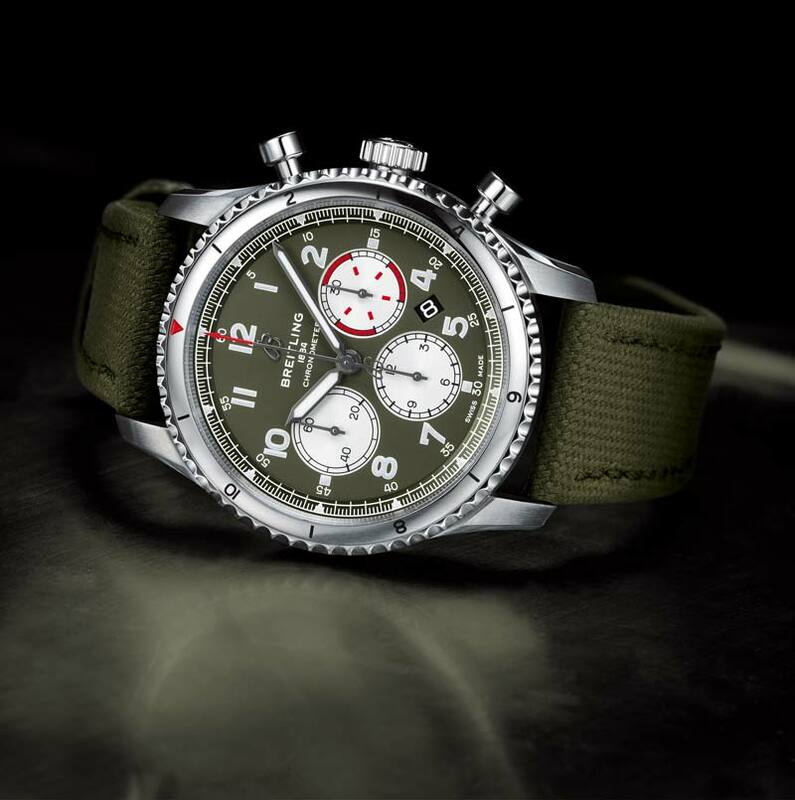 The Aviator 8 B01 Chronograph 43 has a military green dial with a matte finish, contrast silver subdials, 12-hour and 30-minute chronograph counters and a small second subdial. The watch is driven by the Breitling Manufacture Caliber 01, the brand’s in-house mechanical movement which delivers power of up to 70 hours. A special coating on the hour and minute hands and Arabic numerals on the dial make it easy to read even under difficult conditions. 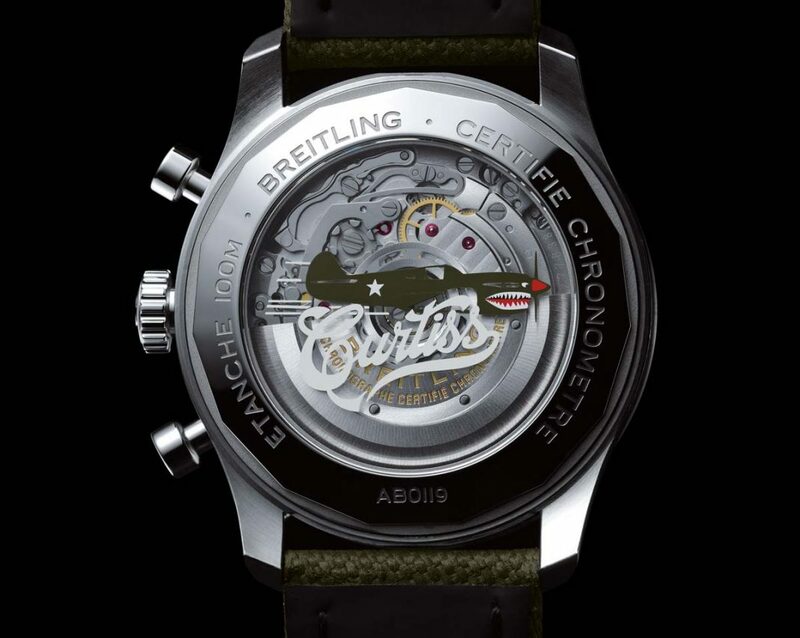 One of the most amazing features is the eye-catching caseback with its striking transparent sapphire case, a Curtiss inscription and a vivid graphic of an airborne P-40 Warhawk with the epic shark mouth of the Flying Tigers. Both the Aviator 8 Chronograph 43 and the Aviator 8 Automatic 41 features the same military green dial and have a P-40 Warhawk graphic engraved on the caseback. The story of the world-famous watch brand started in 1884 with the skilled Swiss watchmaker Léon Breitling. 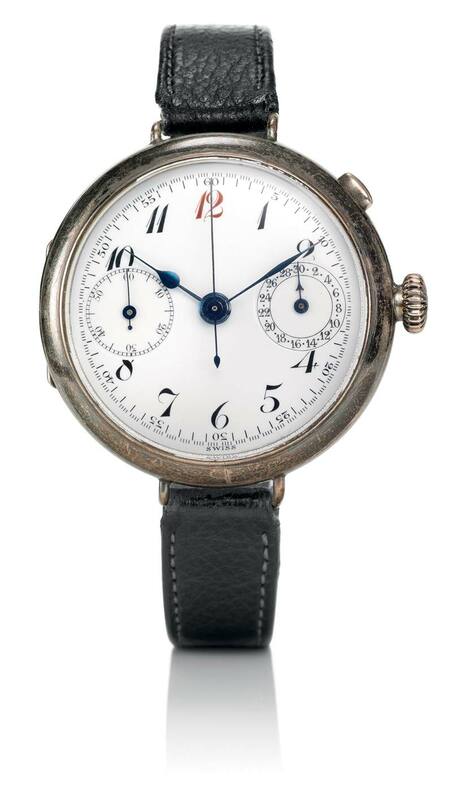 The company focused on chronographs and was granted a patent in 1889 for their sleek design, uncomplicated manufacturing process and straightforward maintenance. In 1914, Léon Breitling passed away and his son Gaston took over the family business. The following year, Breitling launched the world’s first wrist chronograph with a separate push-piece above the watch crown. In 1927, 14-year old Willy Breitling unexpectedly had to take over the company and with external help, Breitling survived the Wall Street crash of 1929 as well as the Great Depression. 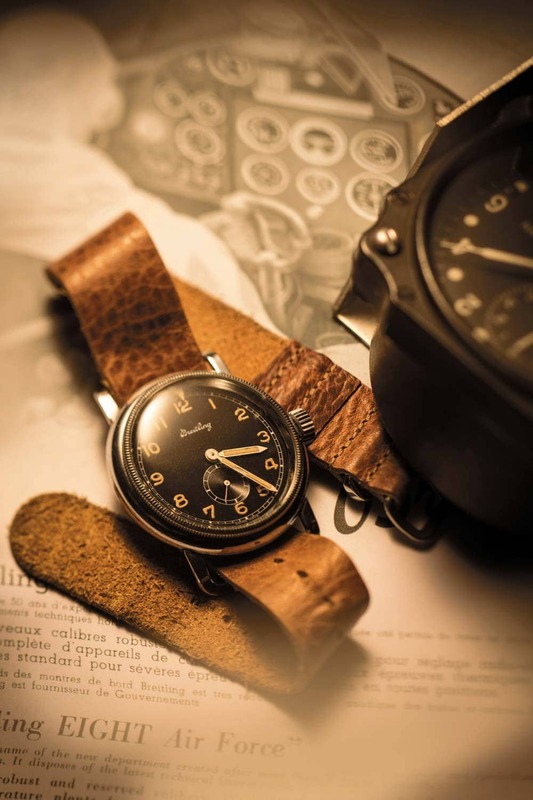 The first specially designed aviator chronograph was launched in 1936 and since then a long list of innovations have followed and Breitling watches have been in space missions as well as featured in James Bond. 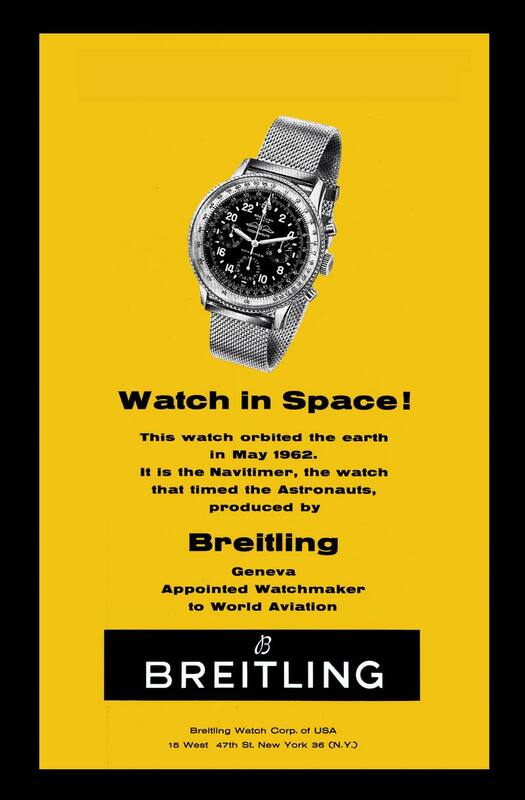 The company remained with the founding Breitling family until 1979 where watchmaker and pilot Ernest Schneider bought the assets of the Breitling brand. In 2017, Breitling became part of the CVC Capital Partners. Prices starting from €5.100 EUR. Porsche 901 RS parts were used to create this watch!